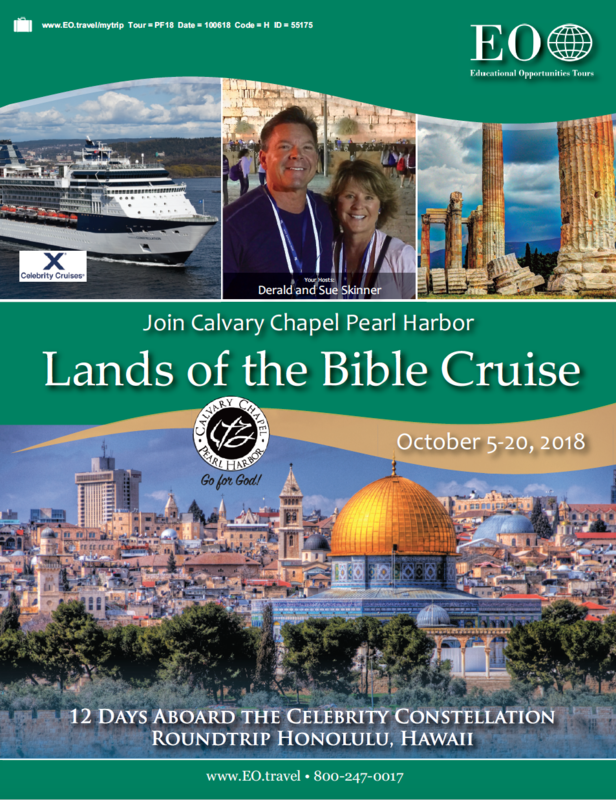 The Lands of the Bible Cruise is currently SOLD OUT, to be placed on a waiting list use the registration link below. EO will contact you once registered and confirm if you are on a waiting list or if space is available and the current prevailing price rate. All deposits will be refunded should space not become available or you opt out. Currently a deposit of $700 per person is required to sign up. 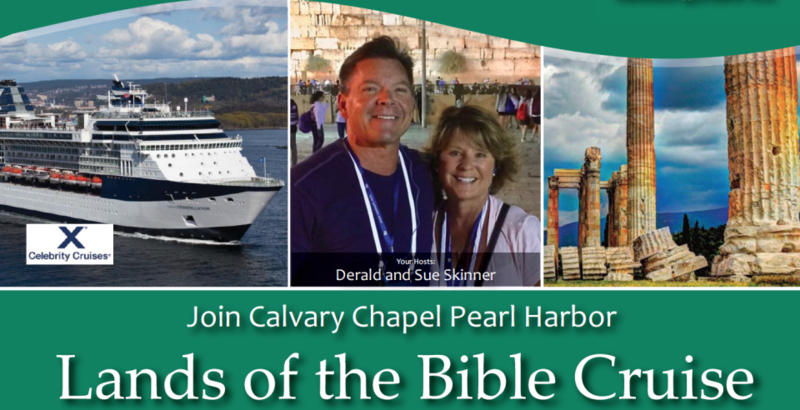 Join Pastor Derald & Sue Skinner of Calvary Chapel Pearl Harbor for a Biblical voyage aboard the Celebrity Constellation! Departing Honolulu on October 5, 2018, this Lands of the Bible Cruise will include locations such as Greece, Italy, and The Holy Land. For the pricing and details, please click to the brochure button below. Click on the video below to view the Cruise Informational Meeting on November 19, 2017. If you have any further questions, please feel free to call Corey Boss at (808)678-3994 x503 or email him at .